This is the name of a tune written by John Daniell (1788-1866). 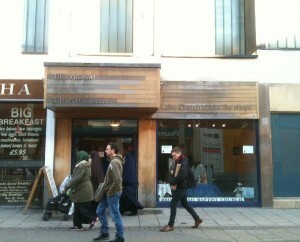 Daniell was organist and choirmaster at the Broadmead Baptist Church, which was one of the six non-Conformist congregations established in Bristol in 1640. Daniell was originally from Gloucester, but lived a large part of his life in Bristol where he worked as a draper, auctioneer and musician. The tune was originally called DAVID’S HARP and appeared in the Bristol Tune Book (1863) under this name. At some stage the name changed to BROADMEAD (probably on account of the locale in which it was originally sung). In Hymns and Psalms (1983) it appears under the name BROADMEAD (DAVID’S HARP) with the words ‘How blest is life if lived for thee’. 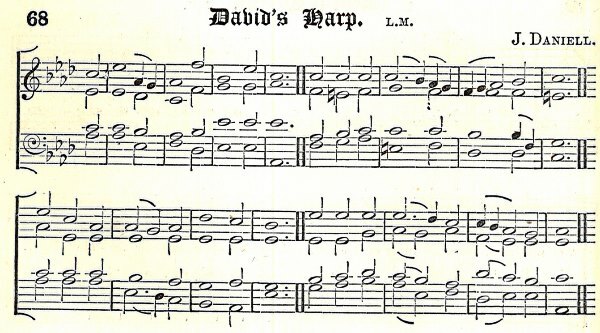 The featured picture is of the tune DAVID’S HARP from the first edition of the Bristol Tune Book. 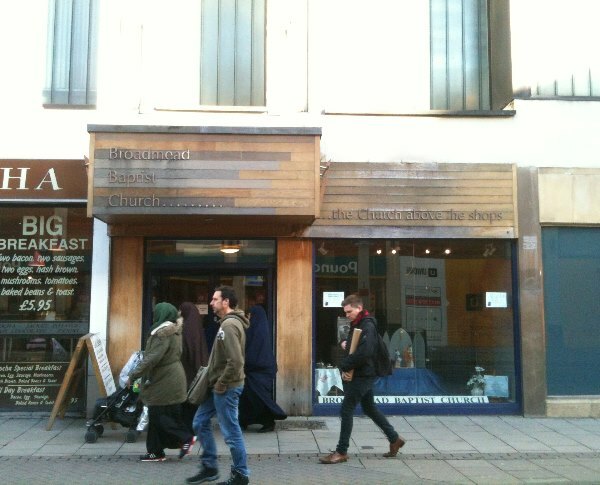 The entrance to Broadmead Baptist Church, in 2014, on Union Street in Bristol.